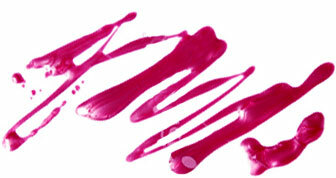 Have you ever had a lipstick that just did not look cute on your pout, but you couldn’t bear to toss it out? So it just hangs out at the bottom of your makeup drawer or bag all pretty and unused? There is still hope, people! As a lipstick hoarder myself (I have 24 on my desk as we speak, no joke), I look for new reasons to whip out my unused hues that make as big of a statement as they would on lips. Derek Lam Spring 2015 (left); Peter Som Spring 2015 (right). 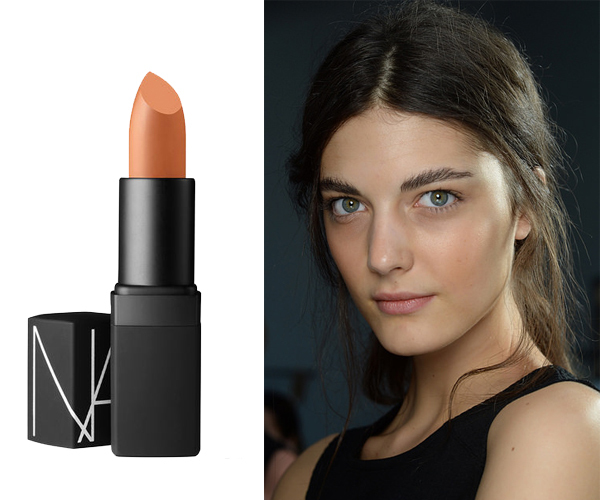 Lipstick also made its way onto the eyes this season. 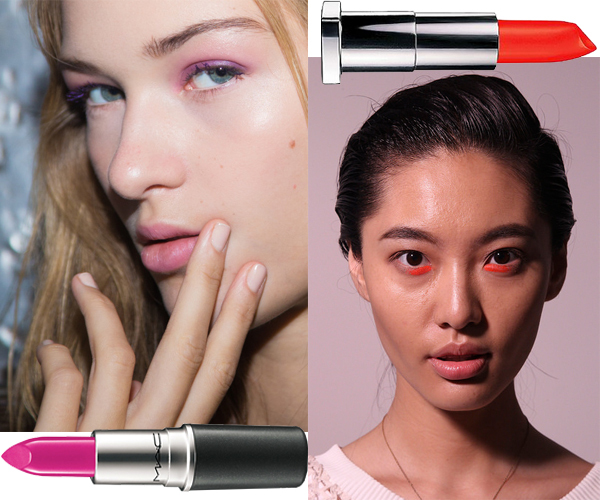 Maybelline’s new Global Makeup Artist Yadim created a super cool look at Peter Som by applying Maybelline Color Sensational Vivids Lip Color in Vibrant Mandarin on the inner corners of the eyes. 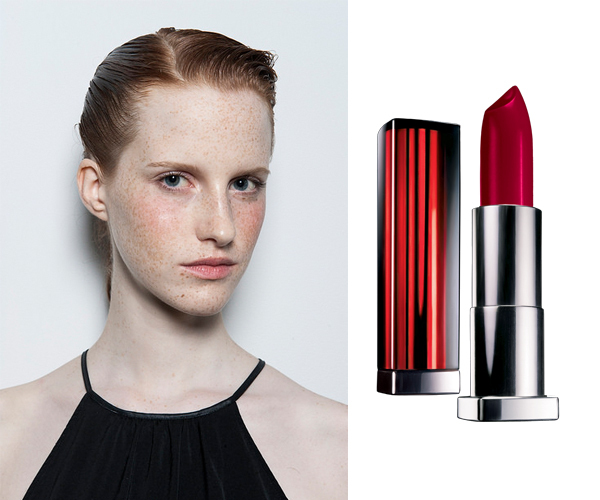 Meanwhile, over at Derek Lam, Tom Pecheux for MAC Cosmetics chose lipstick over eyeshadow when he applied MAC Pro Violetta Lipstick “on the lash line and into the crease and outward.” He used the 242 Shader Brush to blend the color seamlessly.